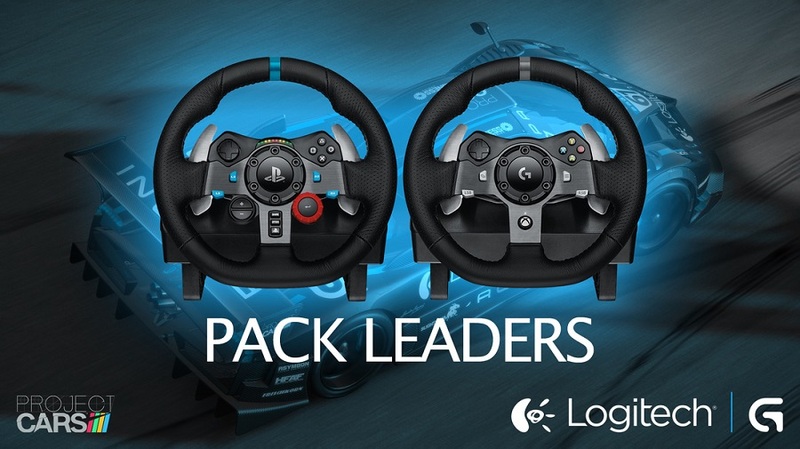 Okay so this is not exactly the biggest surprise story of the year but nevertheless Slightly Mad Studios have recently confirmed that Project CARS will support the new Logitech G29 and G920 racing wheels when they launch. The PC and Playstation 3/4 compatible G29 is due to launch in the US next month while the Xbox One and PC compatible G920 is scheduled to arrive sometime in October this year. Both wheels feature dual-motor force feedback and the wheels are engineered to have precise steering control coupled with a quiet motion. The racing wheel sets have a premium look and feel thanks to the hand-stitched leather rim and stainless steel three pedal setup. The G29 will feature LED gear shift lights, something that the G920 is said not to have somewhat strangely. The G29 and G920 come with paddle shifters only, Logitech will give customers the option to purchase a separate Driving Force H-pattern six-speed shifter should they choose. Both racing wheels will retail for a fairly substantial £299. Do the new wheels tempt you?